Dental visits can be extremely stressful and for some Palm Beach Gardens residents, the fear and anxiety associated with a trip to the dentist prevents them from getting the care they need. 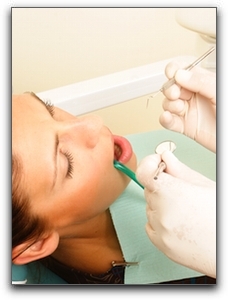 At Weinberg Dentistry we provide the best oral sedation dentistry available. We will accommodate your needs with minimal, moderate, or deep sedation. In addition to sedation dentistry, at Weinberg Dentistry we offer our Palm Beach Gardens clients a variety of procedures, including sedation dentistry, dental implants, Invisalign clear braces, general dentistry, and cosmetic dentistry. At Weinberg Dentistry, our professional staff will provide the best possible care for you and your family. Whether you need preventive care or cosmetic dentistry, the honest and technologically advanced team at Weinberg Dentistry will give you something to smile about! For more information on oral sedation dentistry or any other dental procedure, contact us at (561) 420-0770. We are located at 14050 US Highway 1, Juno Beach, Florida 33408. Call today!